L e o n i d s 2 0 0 1 N e a r l y L I V E !! 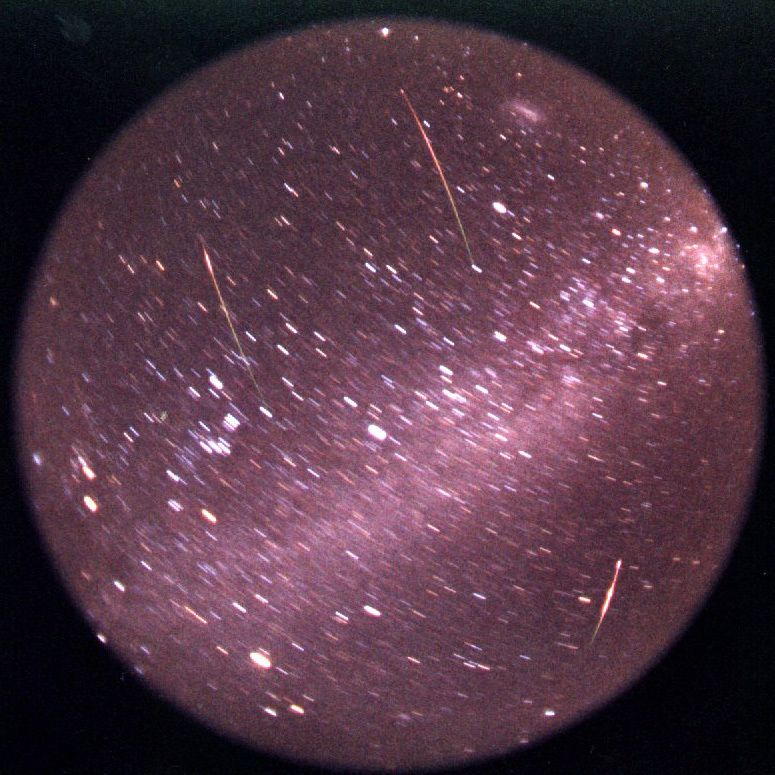 On the morning of the 19th November this site broadcast a live webcast of the peak of the Leonids meteor storm from Alice Springs, Australia. For more details on the exact time see the "viewing" link at the top of this page. You might like to check out the science or historical information. Consider Astronomy Online if you're interested in learning more about Astronomy. The webcam was turned on around 2:30am (Local time) on the 19th November 2001, images were captured until about 4:30am. We will also host any images you send us from your part of the world along with appropriate credits, see the gallery. Please include details of where they were taken and at what time.